A few million years ago, humans’ ancestors might have gazed in wonder at a strange, brilliant blue spot in the night sky. It was the aftermath of an epic stellar explosion, maybe two. Had these supernovae occurred a little closer to home, life on Earth would have been toast. Obviously, things didn’t go down that way, but the explosions did shower our planet with radioactive fallout. Now, astronomers have learned that the shockwaves from back-to-back-supernovae—maybe the same events—are still sprinkling us with cosmic debris today. That’s according to a study appearing in today’s Science, which used a space weather probe to catch cosmic rays emanating from stars that died not too long ago and not too far away. The research comes on the heels of two other scientific papers documenting supernovae debris at the bottom of the ocean and on the surface of the Moon. For nearly nineteen years, the Advanced Composition Explorer, or ACE satellite, has sat at a position of stable orbit between the gravitational tug of the Earth and the Sun. There, it studies a stream of high-energy particles known as the solar wind. In the event of a large eruption on surface of the Sun, ACE acts as our early warning system, giving us a thirty-minute heads up that geomagnetic storms are headed our way. ACE has done a bang-up job monitoring space weather, but one of its instruments is also very good at getting the precise masses of rare, heavy elements from beyond the solar system. These include iron-60, a radioactive isotope produced when massive O and B-type stars explode. 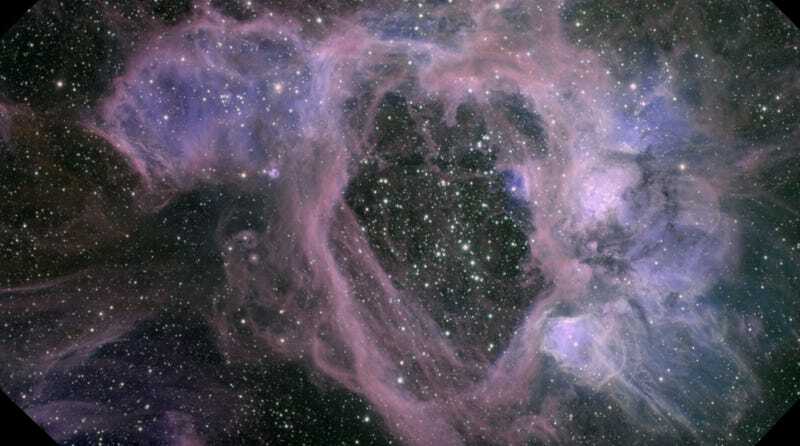 A few years back, astrophysicists Martin Israel and Robert Binns of Washington University in St. Louis decided to see if they could find evidence for supernovae in cosmic rays traveling through space. Scouring 17 years of ACE’s cosmic ray isotope spectrometer data, Israel and his colleagues identified 15 cosmic ray events with an iron-60 fingerprint. “The fact that we’re seeing iron-60, with a half life a little more than 2.5 million years, is telling us the supernova explosion that accelerated these cosmic rays must not have been too far away, and must not have been too long ago,” Israel said. Coincidentally, another recent study revealed iron-60 in seafloor samples from the Pacific, Atlantic and Indian oceans. The authors, whose work appeared in Nature, concluded they’d found evidence for two supernovae explosions: one 6.5-8.7 million years ago, and another 3.2-1.7 million years ago. Last week, a study examining iron-60 debris on the Moon arrived at a similar conclusion. “Our iron-60 data is, in a sense, hanging together with seafloor and lunar sample data,” Israel said, although he added that cosmic rays come from all directions, and it’s nearly impossible to pinpoint their exact source. His team now plans to use other instruments to search for rarer, heavier cosmic ray isotopes, which might shed more light on the matter. Studying the end times of stars that died millions of years ago might sound esoteric, but nearby stellar explosions have implications for life on Earth. Too close, and the radiation from a supernova could eat through our ozone layer, frying any squishy life forms beneath it. An explosion a few hundred light years away won’t cause an apocalypse, but some scientists believe the additional radiation flux may be enough to kickstart a climactic shift—such as the onset of the Pleistocene two million years ago. The jury’s still out on whether Earth’s most recent ice age is at all linked to supernovae. But the thought that faraway stars could have had a tangible impact on our present-day world is certainly intriguing.